Clay soil is great for retaining water, but it isn't ideal for drainage because the density of clay makes it heavy and sticky when wet. Native plants have adapted to clay's heavy density and lack of nutrients but if you want to plant a diverse garden, you'll need to address these pitfalls by adding amendments. The first thing to do after testing your soil pH factor is to create a looser soil texture by breaking up the clay's density. 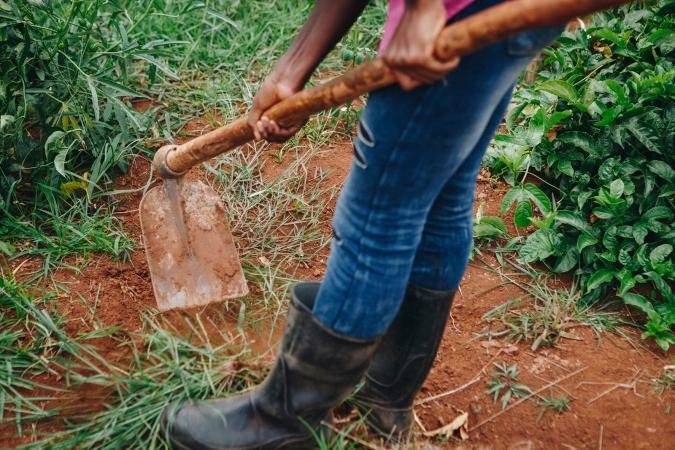 By breaking up the clay soil, you ensure it will drain water better and allow plants to thrive. There are two schools of thought on what amendment is best to accomplish this. Some gardeners add gypsum (rock) to their clay soil. You should first check what type of clay soil is in your region. For example, North Carolina State University (NCSU) advises gypsum doesn't work on the type of clay soil found in North Carolina. Instead, NCSU explains expanded shale or pea gravel are better solutions. 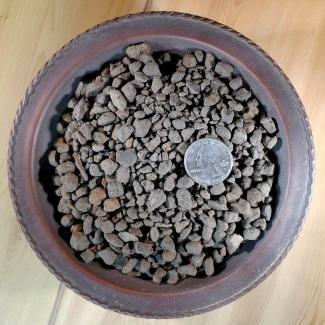 Vermiculite is often recommended as a soil amendment since it holds and releases water. It can break up clay soil, but it will decompose. A better choice for clay soil is expanded shale. Expanded shale is a light-weight amendment that will break up the soil. Keep in mind this is a rock and therefore won't decompose or ever break down. It will provide pore space (void space filled with water) and air space (void filled with air) in the soil. The puffed-up state of expanded shale also allows it to retain not just water, but nutrients that will constantly feed your plants. As a side gardening benefit, NCSU points out sharp gravel is a great defense if you have a problem with moles tunneling through your garden. Keep in mind most flower and vegetable root systems will grow in the top eight to ten inches of the garden soil. This is the soil depth at which you'll be adding expanded shale or gypsum (both are gravel size). Tiller: Use a tiller to dig up the first 10 inches of your soil bed, add the shale or gypsum, and then thoroughly work the gravel into the soil. Double dig: This manual method is labor intensive. With a shovel and/or pick, dig a trench (you can also work in grids) 10 inches deep and add the gypsum or shale. Add the soil back into the trench and blend with the gravel until both are thoroughly mixed together. 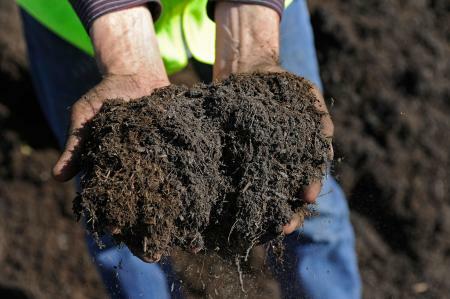 Perhaps the most important soil amendment for clay soil gardening is compost. Known as Black Gold, this nutrient rich decomposed plant matter is vital to having a healthy soil for growing vegetables and flowers. 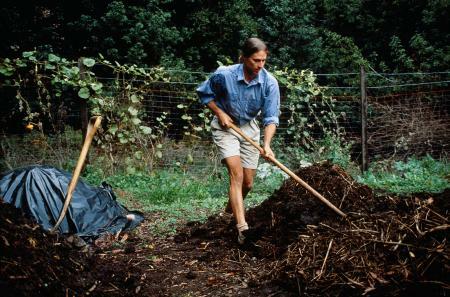 Since you're only working the first four to six inches of soil, spread the compost (one to two inches thick) and then till it into the soil four to six inches deep. 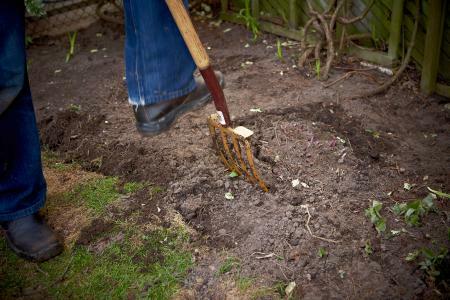 If working in raised beds, double dig using a grid system to mix the compost or simply use a hoe and rake. For a container garden, use potting soil instead of local amended clay soil. Next, add mulch around the plants. Once you set the plants in your garden, add the mulch. If you've planted seeds, wait until the plants are three inches tall to add a layer of mulch. Then, add another inch or two once the plants are eight inches tall. You want at least two to three inches of mulch surrounding the plants. Mulch can be a mix of leaves, grass clipping (screen out seeds), bark, and some compost. Mulch will help the soil retain moisture and nutrients. Once you establish your flower and vegetable gardens by amending the clay soil, apply two to three inches of mulch around your flowers and vegetables each year. You may need to fertilize your plants the first year as you build the soil. 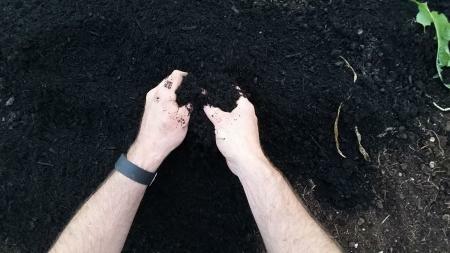 As the compost and mulch decompose and the garden becomes compact, just add more compost followed by mulch. Next year, you can add a layer of compost on top of the soil, plant your flowers and vegetables, then top with a layer of two to three inches of mulch. You can always add other amendments if determined by soil test results. Chances are, an organic fertilizer may be required the first year you use your amended garden soil. Plant a cover crop at the end of the growing season to replenish any spent soil nutrients.